US 50 to Dillsboro, turn on SR262, about 2 miles Bocock is on the Rt. Sign in yard. Beautiful Setting!3Br,3full bath ranch home, vinyl dbl hung windows, formal din rm, 1st flr.lndry,ceramic tile & HDWD flrng. Garden tub in Masterbath. 2car att.garage. 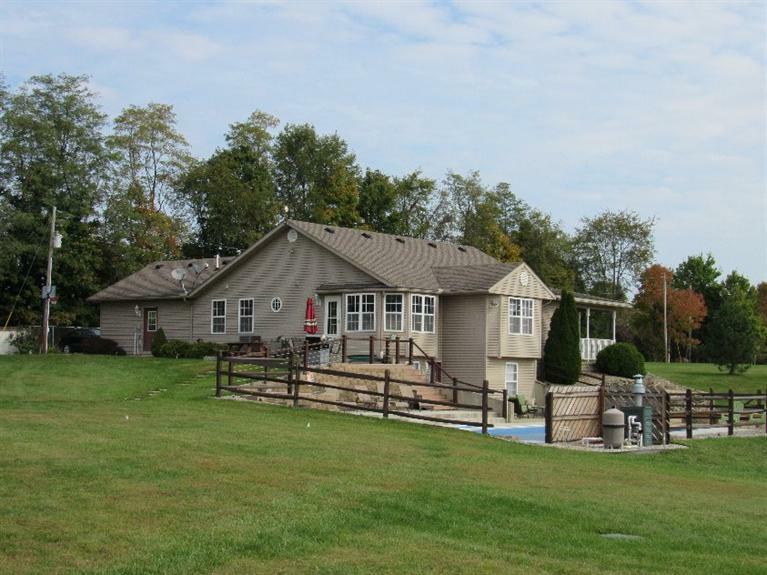 Basement has pool table,wet bar,w/o to heated swimming pool w/contracting cover(2yrs old), Firepit on the side, 2 leased propane tanks, 2 polebarns; 52x24 & 40x36 w/full bath. NOTE: This property was sold on 9/17/2016 and is no longer available. The details listed below are believed accurate to the date of the sale and are subject to change.